DETROIT: The Detroit auto show kicked off this week with glitzy, high-production value debuts of mostly sports cars, giant trucks and SUVs – new versions of age-old themes. 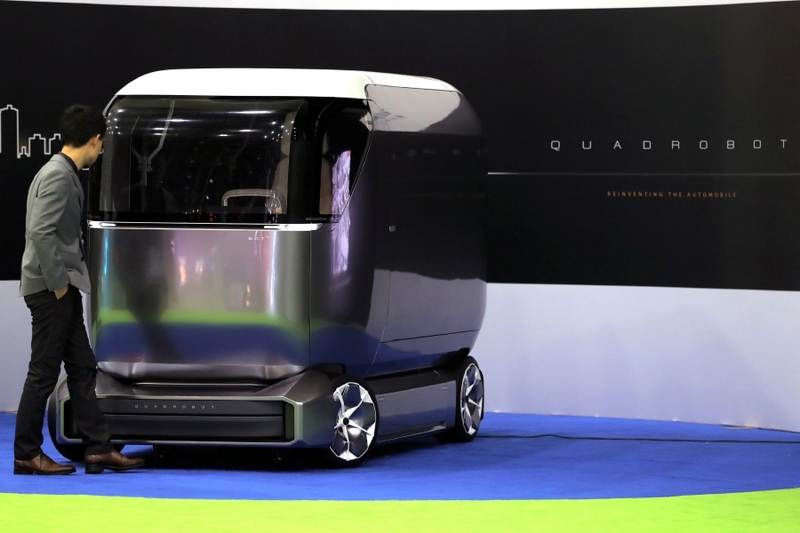 But tucked away in a corner of the show were the people and companies hoping for at least a little bit of the attention: the car of the future. They were the autonomous startups, the vehicle experience designers, sensor makers and research universities all competing with the glare from of those shiny new cars. At the booth of Velodyne LiDAR, which makes laser scanning automotive eyes, a giant monitor showed the surrounding environment just as an autonomous car might see it: full of dots and circles. The technology helps cars see the world in three dimensions. But it is decidedly not ready to guide self-driving systems. Something as simple as bug splatter can frustrate the laser eyes’ ability to see. “As our customers get more involved into the development, they find issues which seem obvious which were not part of our original specs, like rain, ice, rocks” – and yes, bugs, said Philippe Schricke of Velodyne. Schricke said one of the challenges is figuring out who is responsible for solving challenges. Does the carmaker need to figure out how to keep the car’s laser eyes clean? Or do the laser eyes need to work even when they are dirty? Nearby, a contraption vaguely resembling a giant open-air golf cart sits in front of another giant screen. It is a simulator showing what the inside of the car of the future might look like, brought to you by BCS Automotive Interface Solutions. Their vision? A joystick instead of a wheel, sensors that measure the heat off your skin and adjust the air conditioning, and a swiveling driver’s seat that swings toward the large screen nearby when in autonomous driving mode. It’s a bold vision, tested out recently on consumers – and not just the millennial type. “We did have some grandmas,” said the company’s Bassem Saad, global director of product management. “Some felt it’s very responsive,” he said of the joystick steering wheel in particular. People will have plenty of time to adapt. The designer car of the future is not ready for prime time, either – not until engineers figure out how to keep bug splatter from blinding autonomous cars. “It’s a transition, right? So you can’t really immediately replace the entire market with something like this. You have to phase it in. And you have to do it slowly,” Saad said. 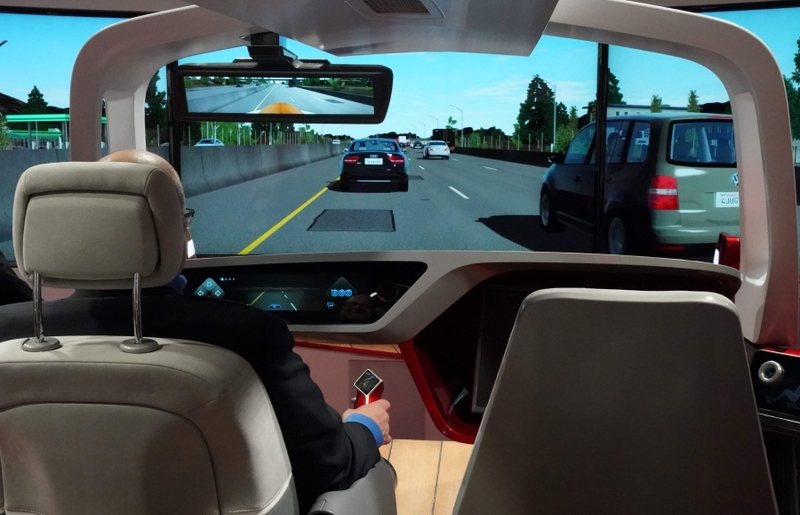 In the meantime, BCS is preparing its “periscope” – a 180-degree video monitor that acts as a high-tech rearview mirror – for use in the cars of the near future. As tech ascends, has CES made Detroit Auto Show an afterthought?